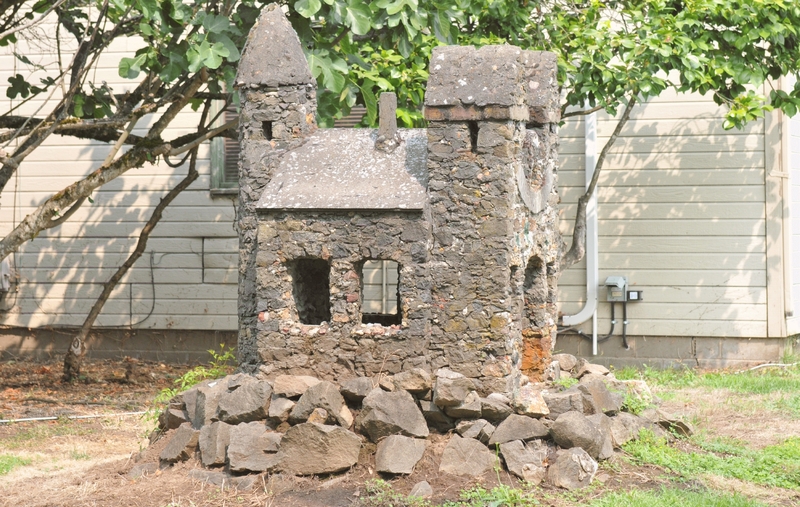 Someone had created a stone castle in the front yard of a suburban home. 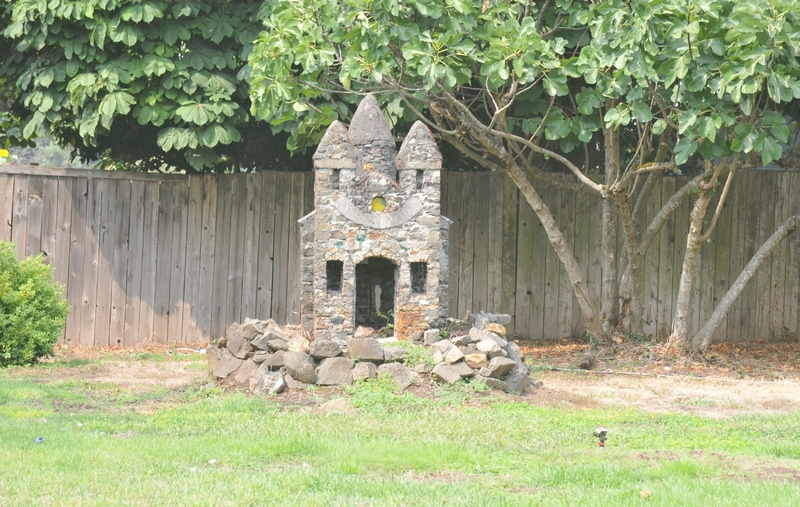 It was elevated on a small rock pile and backed by a fence. A view from its front revealed four windows and an arched front door that led into a hollow interior. The medium sized bush behind the castle, looked like a very tall tree by comparison. 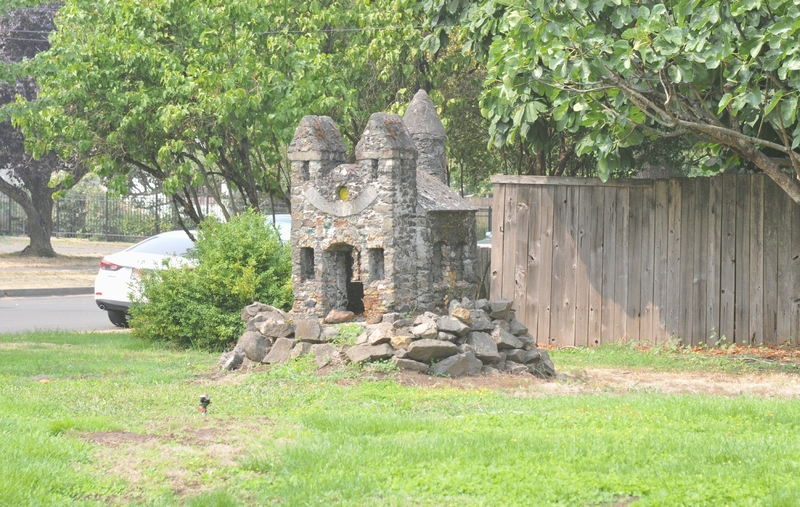 A side view of the castle with a full sized house behind it. Notice the roof with a chimney.